Waddy Productions. 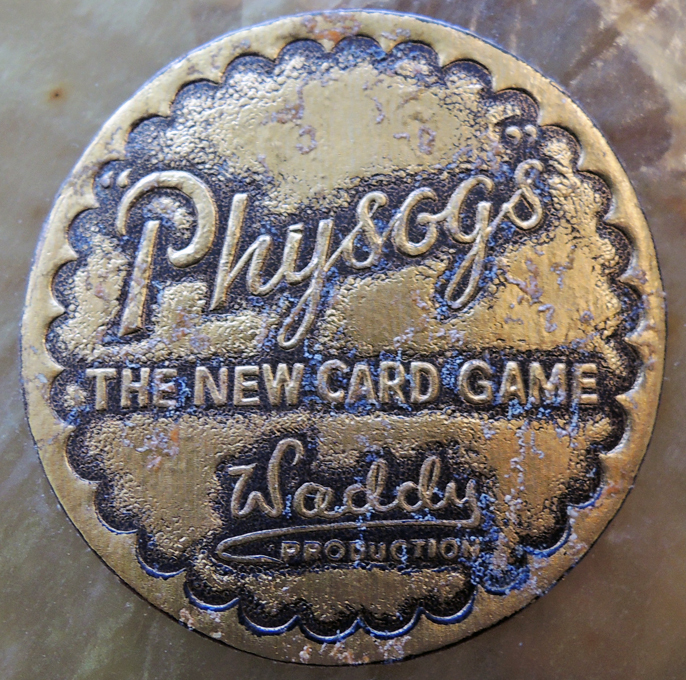 Physogs: the Novel Card Game (Aldwych, London: Waddy Productions, Astor House, [between 1939 and 1945]).1 game (4 frame cards, 52 playing cards, 2 booklets). Graphic Arts Collection GA2016- in process. 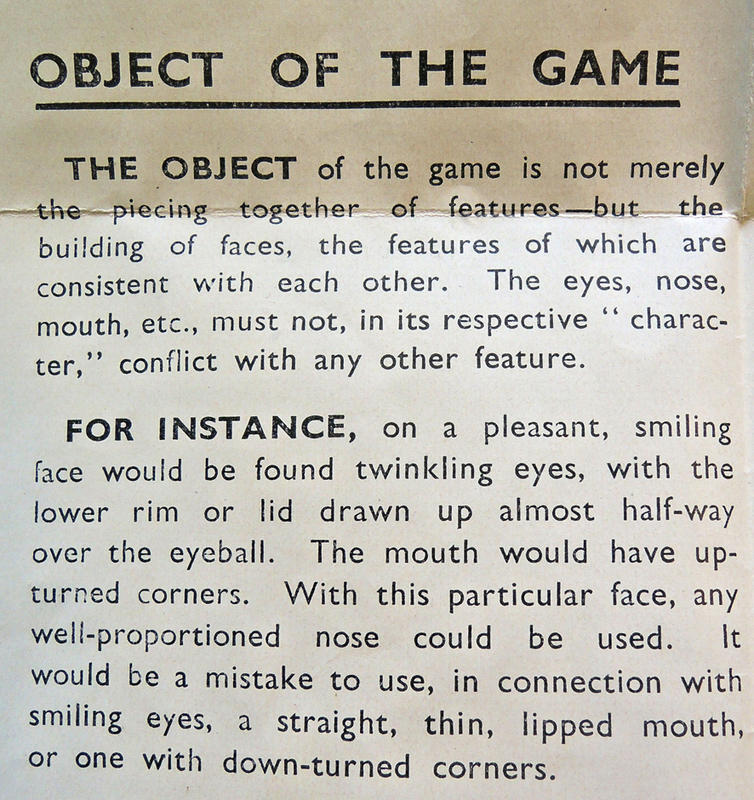 Shortly after the publication of sociologist Jacques Penry’s book How to Read Character from the Face: a Complete Explanation of Character as it is Shown by the Size, Proportion, and Texture of Each Feature (New York: Fortuny’s, 1939), the British company Waddy came out with a game based on Penry’s book. 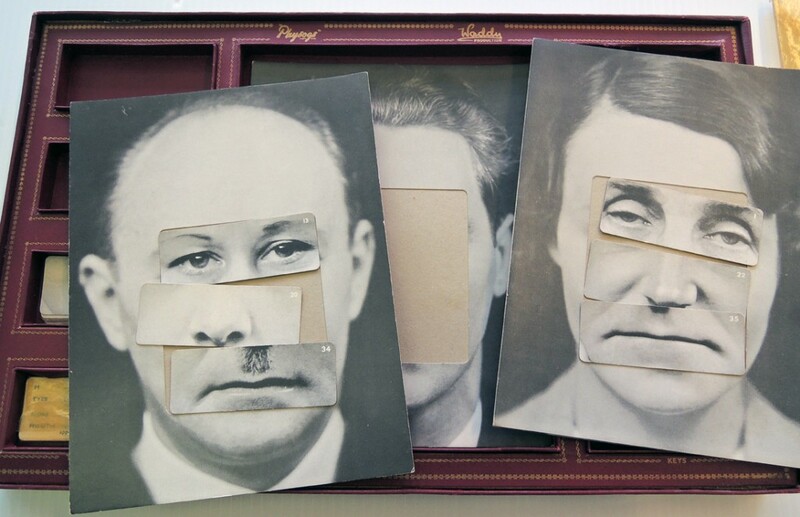 As the booklet states, “The object of the game is not merely the piecing together of features but the building of faces, the features of which are consistent with each other. The eyes, nose, mouth, etc., must not, in its respective ‘character,’ conflict with any other feature.” A key book describes thirteen distinct facial-character types: acquisitive-shrewd, dissipated, bad-tempered, determined, suaveobsequious, artistic-imaginative, credulous-impractical, magnetic, excitable-impetuous, self-conscious, crafty-self-centered, pleasant-cheerful, and narrow-minded-stubborn. 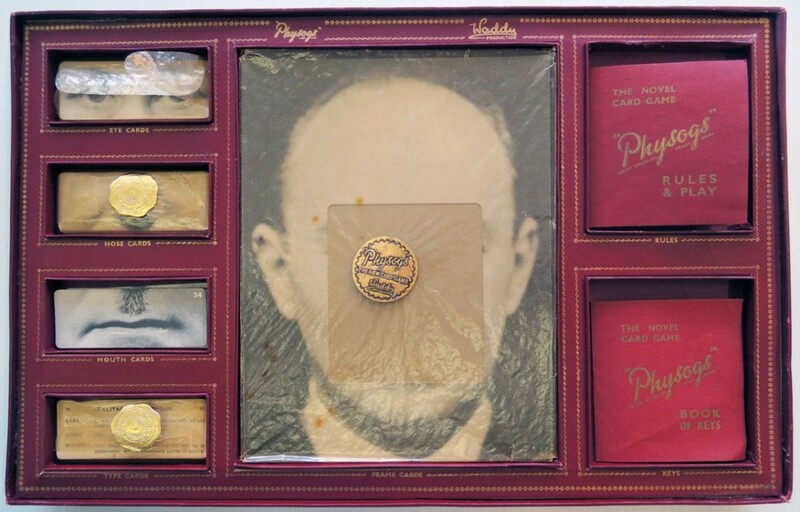 Play continues until someone has selected the correct set of eyes, nose, and mouth. 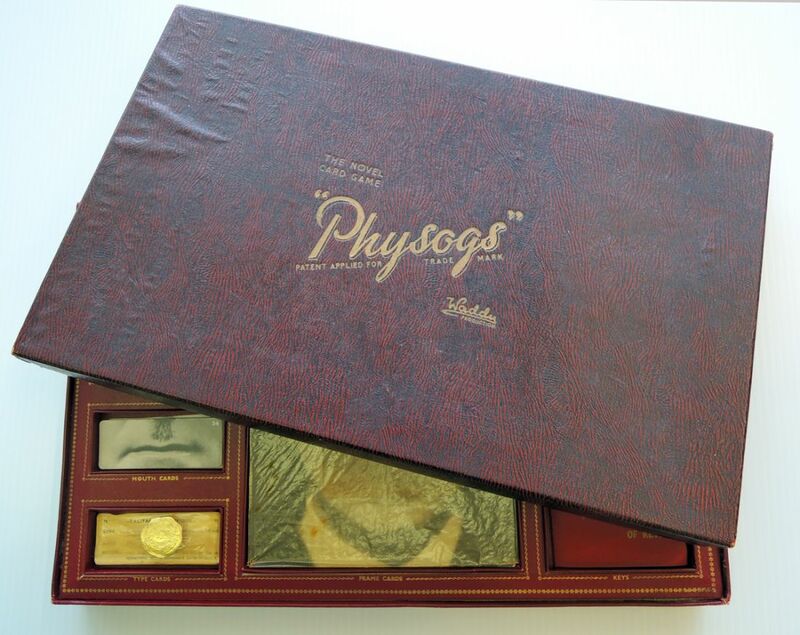 This entry was posted in Acquisitions, Ephemera on March 11, 2016 by Julie Mellby.